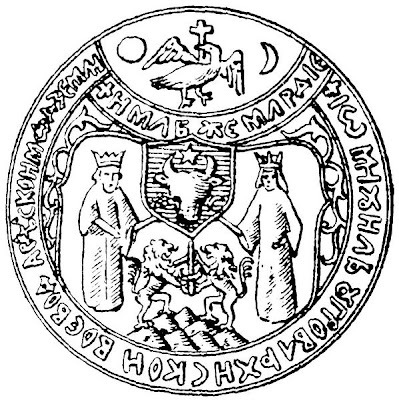 Below is an image of the seal of Michael the Brave, who was Prince of Transylvania. No, he's not related to Dracula in any way. Please I don't need any more emails about that question. This is a drawing of Michael himself, he was assassinated in 1601. 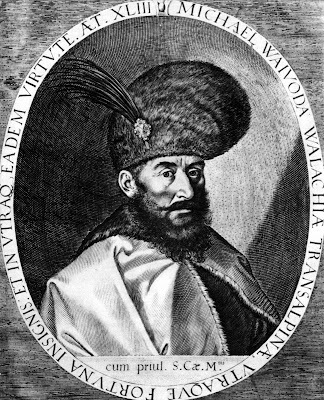 In a way he was also legendary as he was the first leader of all three province that would become Romania. He ruled over many peoples: The Saxons, the Hungarians, the Roma, the Jews, the Romanians. What would happen had he lived longer?